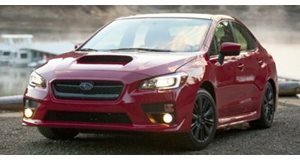 Would You Buy An All-Electric Subaru WRX Or WRX STI? Which model will Subaru electrify first? The first Subaru EV will arrive in 2021, but which model will it be based on? Subaru has told Bloomberg that it’s planning to launch all-electric versions of its existing models over the next several years, with the first expected to arrive by 2021. The Japanese automaker also plans to invest some $1.2 billion on R&D over the next year to develop electric powertrains. To be clear, Subaru has no intention of partnering up with another automaker for this project, according to CEO Yasuyuki Yoshinaga. 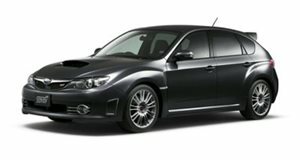 Instead of creating a sub-brand, which didn’t work as well as expected for BMW, for example, future Subaru EVs will be badged as Subarus. “If there’s already an attractive Subaru model, for example the XV crossover, and if a customer in Beijing wants one but is only allowed to buy an electric vehicle, if there’s no electric version then he can’t buy it,” stated Yoshinaga. The question is, which Subaru model will be the first to go on sale with an electric powertrain option? 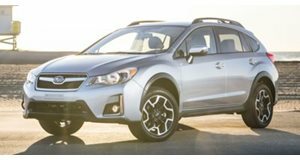 A good bet is either the Impreza or the Crosstrek, which is essentially a raised Impreza. Is there a chance the WRX or WRX STI will go all-electric? Absolutely, yes. Eventually. But even before that first EV arrives, Subaru will launch a new plug-in hybrid by next year. An EV Subaru performance car is probably the last priority at the moment, but the automaker is laying the foundation for that eventuality.